Friday | November 18, 2016	Sweeten your Christmas feasting with log cakes and sweet treats from Bakerzin! CROQUEMBOUCHE - SGD22.80 A traditional French cake popular at weddings, this sweet pyramid dessert consists of 27 mini choux pastries, stacked delicately like a Christmas tree. Freshly baked daily and glazed with a generous coating of indulgent homemade butterscotch, each delicate airy choux pastry is filled with either a fluffy French Vanilla Custard or Coffee Cream. 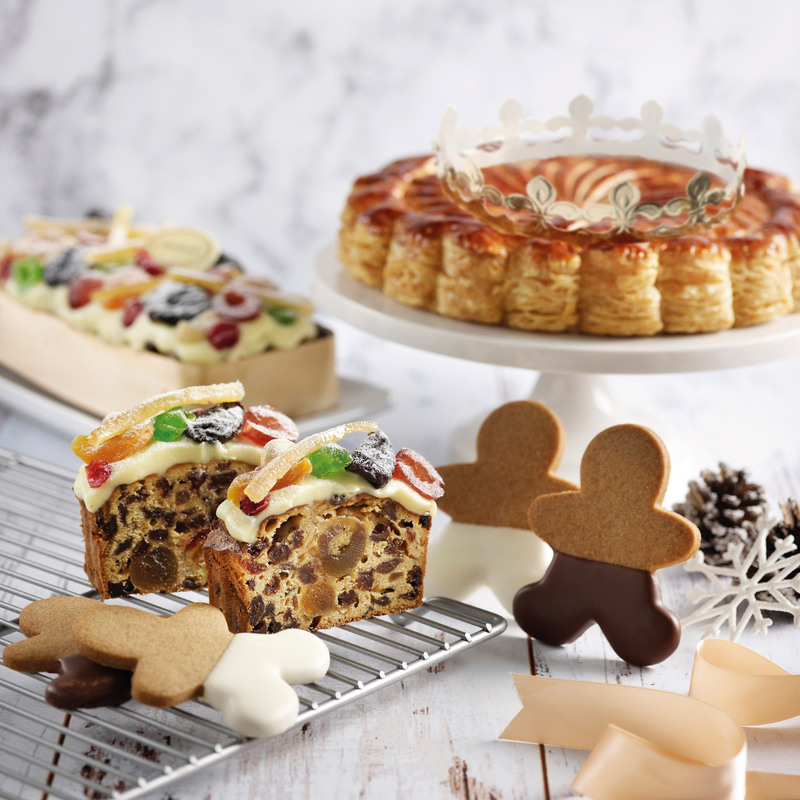 Bakerzin's Croquembouche will add magical splendour to your Christmas spread this year AGED FRUIT CAKE YUZU FROSTING - SGD48 A joyous Christmas will not be the same without a traditional aged fruit cake. This glorious delight is baked with the finest candied peels, raisins, sultanas and cherries steeped in Brandy and English Tea for slightly more than a year. The generous serving of fruits and nuts in the cake promises a good mix of sweetness and crunchiness with each bite. Lightly brushed with Brandy and topped with a tangy Yuzu frosting. This flavorful fruit cake is an ideal dessert for any Christmas celebration! GALETTE DES ROIS - SGD40 Add a little fun to your Christmas gathering with this traditional Northern French pastry! Also known as the King Cake, the sweet and fragrant almond frangipane is encased in a delicate puff pastry. Baked to a golden brown crispy and flaky crust, it melts with every bite releasing sweet and buttery tones in the mouth. Best eaten hot! You're in for a surprise as the cake conceals a fève (porcelain toy figurine), and the person who finds it will be a king for the day! An absolute must-have for those young at heart! GINGERBREAD MAN - SGD3.90 Faithful to a recipe passed down from generations, this classic is perfected with the use of fresh spices and matured ginger paste, honey and molasses. Everyone loves to nibble on these delectable sweet treats during Christmas! Check out these sweet gourmet surprises that will leave you and your guests craving for more!